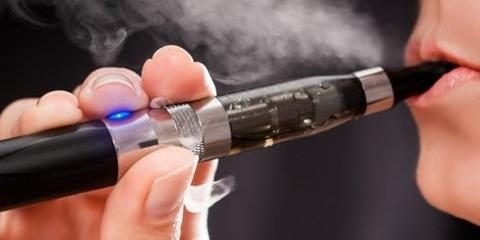 Vaping is becoming more popular and diversified than it has ever been before, from nicotine-based flavors to THC and CBD based ones. It's considered a healthy alternative to smoking, a way to get a nice, clean and healthy high, in some cases, a way to relieve stress. However, the practice of testing people for substances that indicate drug use is also becoming more popular and prevalent over the years. Law enforcements often has to submit to drug tests. The private sector might also require this process, either for safety reasons or organizational ethics, and your job could be at risk if you fail the drug test. In order to understand whether vape will show up in a drug test, we need to look at what we vape before we get to the tests themselves. Vaping flavors may include these three substances. This chemical compound allows the user to experience psychedelic effects. It is vaped by people that are looking to get a clean and mild high. However, the variant used is a synthetic one, carefully measured and dosed. People that are switching away from cigarettes or trying to kick the habit of smoking use this chemical by controlling and gradually lowering their nicotine intake this way. Nicotine is mostly used for flavors to replicate the taste and feel of real cigarettes. This substance comes with newer and non-nicotine flavors. It is one of the active ingredients in cannabis and is meant to encourage stress relief and calmness. It can still be cause for concern although it is not a psychedelic ingredient. There are varieties of ways drug tests are carried out in the body, including analyses of hair, blood, urine, and saliva. However, how do standard drug tests work and how are they conducted? The body can detect certain drugs, and it eliminates this substance through the urine. For THC, this test usually have a cut-off point of about 50 mg/mL, and anything above this in your urine will return a positive result. It uses blood samples to detect the presence of a variety of different drugs. Although the test is capable of detecting the use of marijuana, it is not very reliable in this case, because the THC only lasts for about six hours in the bloodstream. However, using it heavily could result in the positive test for up to 24 hours. It can detect the presence of marijuana and other types of illicit drugs three months or over. It uses the trace amounts of substance collected from the hair follicle. However, it takes time for the drug in question to become absorbed by the follicle, making it virtually ineffective for detecting recent drug use. This test allows quicker detection since anyone doing this doesn't have to wait for the body to pass out the drug through urine. This test is useful at detecting recent marijuana use. It is non-invasive, and allows quick collection and processing of samples. Depending on how much you consume, nicotine stays in your bloodstream for up to 5 days after you stop vaping or smoking nicotine flavors, and between 3 days and three weeks in your urine. So, make sure you vape 0mg nicotine flavors for a week before the actual test, and you will be fine. CBD is hard to detect because those drug tests screen for THC-COOH and related compounds, which CBD is not. It can, however, turn into THC-COOH inside the body and trigger a positive reading if consumed in massive quantities. So, make sure you don't vape CBD too much. THC always shows on drug tests, and it will trigger positives. This substance will be present in your urine anywhere between 3 and 77 days depending on how much THC you're vaping. What you can do to beat this test is to consume detox drinks and substances that are high in fruit pectins, as well as increase your intake of B vitamins.